I wasn’t going to bother with a winter sowing of sweet peas. Last year most of my first batch were gobbled by mice and I’m not convinced the ones that made it did better than those sowed in the spring. But as the days get colder and darker, it lifts the spirits to plan for next summer. 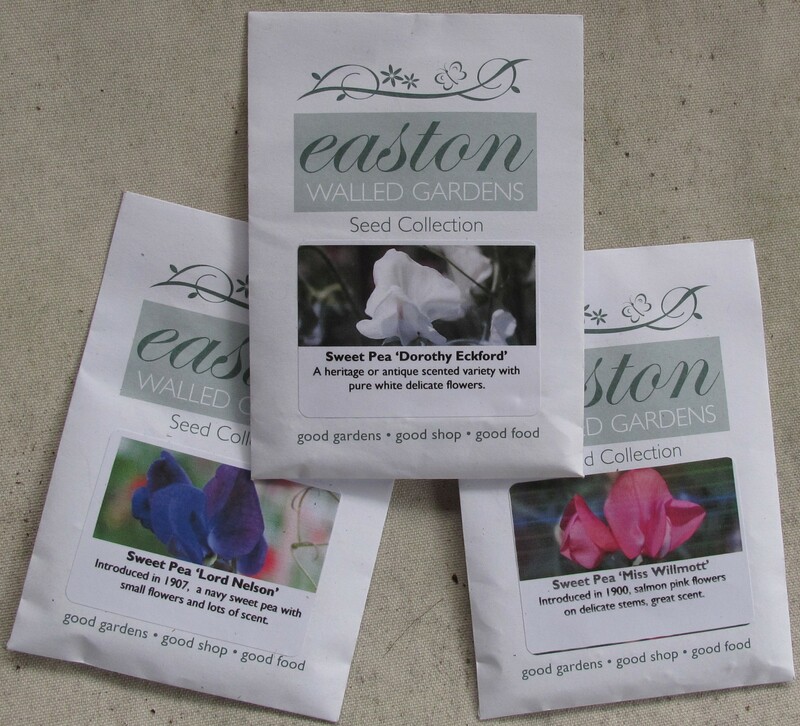 On Sunday, M and I tore open three of the six packets of seed I ordered from Easton Walled Gardens and made a start. 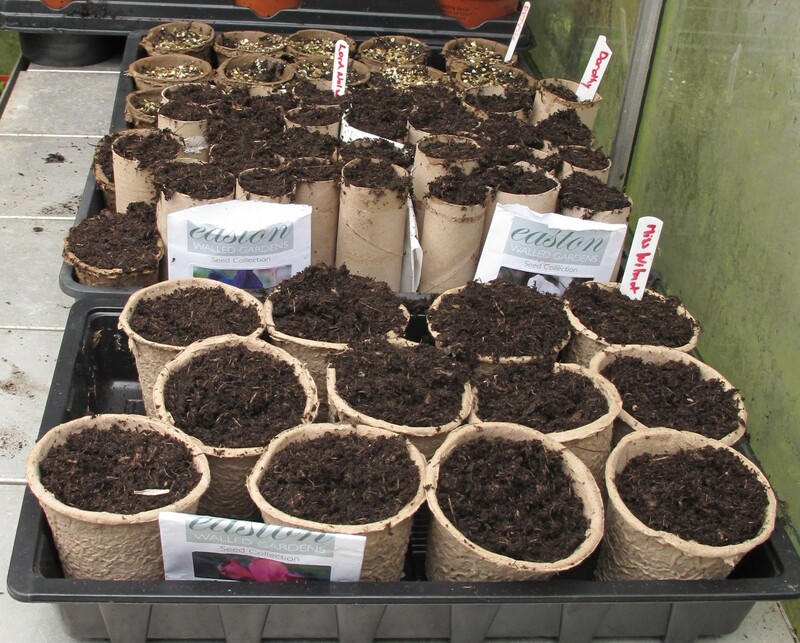 Sweet peas love to grow nice long roots, so we’ve been saving loo rolls and kitchen rolls for them. The added bonus is that the cardboard should just disintegrate when we plant them out, meaning we won’t need to disturb them too much. 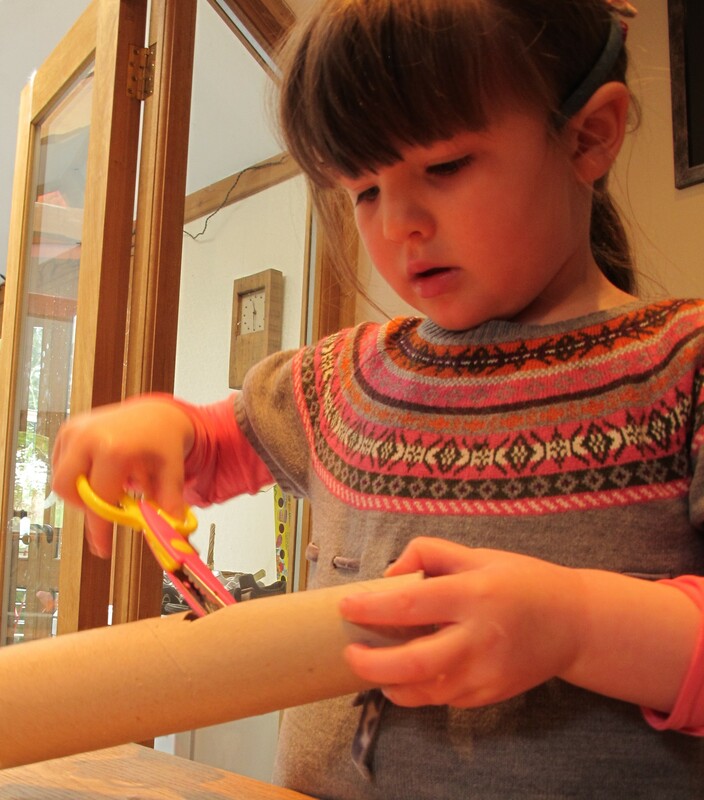 When it came to filling the tubes with compost, M struggled with their open-ends. So I took the frugal option for my seeds and let her have some biodegradable fibre pots. Each packet had at least one seed more than the 15 we were expecting, perhaps they add extra for the inevitable rodent robbers. It was just as well since M dropped hers and a few rolled under the shed floor. I suspect there is a mouse or three living down there, so I hope it won’t trigger them to go sweet pea hunting. M is having a pink phase, so she claimed Miss Wilmott for the biodegradable pots. I sowed Dorothy Eckford and Lord Nelson in loo rolls, which in hindsight seems a little disrespectful. When we were done, we gave them a drink and left them in the cold greenhouse to germinate. I suppose I could have set a mouse trap next to them, but I didn’t have the heart to. We can always grow more in the spring. This Q&A from Easton Walled Gardens has some good sweet pea growing advice. I didn’t come across it until after we sowed ours, but if they haven’t been devoured by mice yet, I’ll move them to the porch which is just as cold but hopefully a little more mouse-proof than the greenhouse.